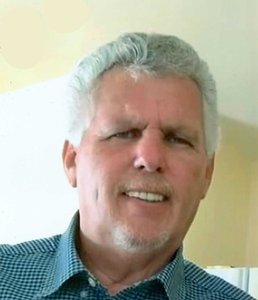 Newcomer Family Obituaries - James R. Lee, Sr. 1952 - 2019 - Newcomer Cremations, Funerals & Receptions. Lee, James R., Sr. age 66, of North College Hill, Ohio passed away on Monday, February 4, 2019. He was born in Cincinnati, Ohio on December 30, 1952 to Charles R. Lee and Patricia Mills (nee Carcutt). He was preceded in death by his parents, Patricia Mills and Charles R. Lee, Sr. James is survived by his beloved wife of 34 years, Donna Lee (nee Rought); children, Jamie (Ronnie) Hansford, Sara (Jody) Orris, James R Lee, Jr., Shaun (Lisa) Rought, Jason (Mandi) Woodall; many grandchildren and a host of other family members and friends. A celebration of life will be held from 2:00 pm to 6:00 pm on Saturday, March 2, 2019 at 1712 Sterling Avenue, Cincinnati, OH 45239. To share a memory of James or leave a special message for his family, please click the Share Memories button above. Add your memories to the guest book of James Lee, Sr.. I wasn’t around much but you were still my dad I’m sorry I didn’t have a chance to say good bye I will never get that chance again. I love you and I know your watching over me. You will be missed by all. You have earned your Angel Wings. You are now in the loving arms of Jesus. I will miss your Beautiful Smile. Your warm Hugs.